The Maine Public Utilities Commission on April 11 voted unanimously to grant a permit allowing Central Maine Power Company to move forward with its New England Clean Energy Connect transmission project, which is designed to deliver up to 1,200-megawatts of Canadian hydropower into the Northeast. 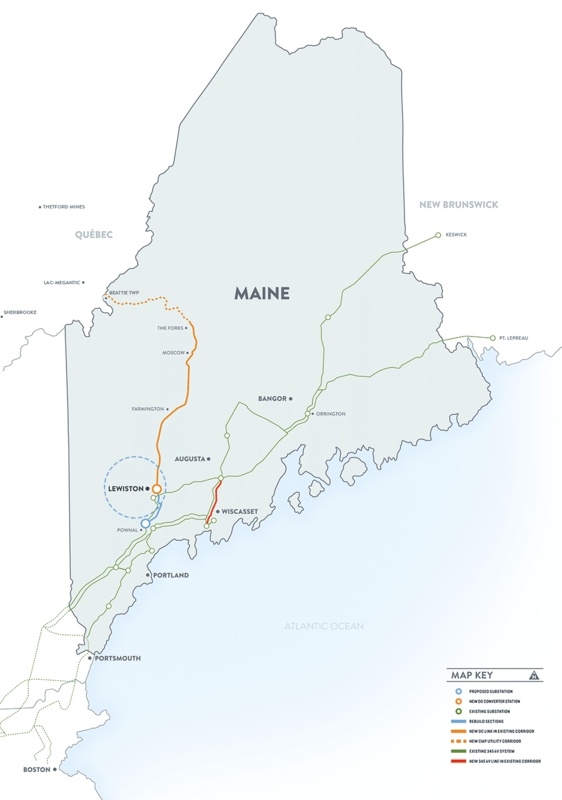 The proposed 145-mile high-voltage power line would cross western Maine to supply Massachusetts with renewable energy. The commissioners agreed with a staff report that the ratepayer and economic benefits of the line outweigh the potential harm to recreational values and tourism in the vicinity of the project. The project is under review by the Maine Department of Environmental Protection and Land Use Planning Commission. The proposal emerged as the winner in Massachusetts’ clean energy solicitation program required under a 2016 law, which directed the state’s electric distribution companies to competitively bid proposals for an annual amount of about 9,450,000 megawatt-hours of electricity. Massachusetts’ decision came after the initial winner, Eversource Energy’s Northern Pass power line, failed to obtain regulatory approvals from a New Hampshire siting agency.